YouTube: Disastrous Kayaking in Franz Josef! 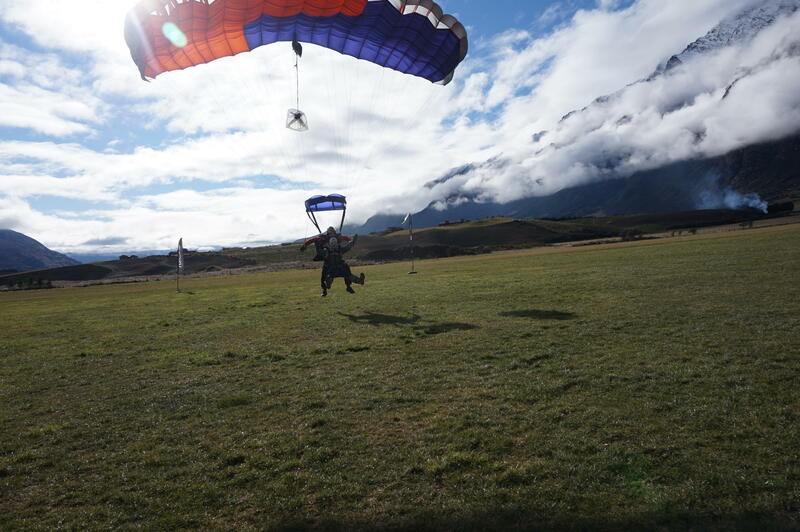 This was one of my favourite days in New Zealand – I loved every minute of it! I say that it is ‘disastrous’ but just in the fact that we all kept sabotaging each other and rowing into trees and verges.. But as you can see, I am finally getting through my footage very slowly but surely! Lots more videos to come up, so keep your eyes peeled! Do you want to go kayaking or have you been? Was it as disastrous as ours? Youtube: Franz Josef Glacier, NZ! Here is my video of my trip to the Franz Josef Glaciers in New Zealand. This was one of the most amazing days and experiences that I had in New Zealand and would love to do it all over again in an instance! I have finally got my hard drive working again and have put together a short video of some New Zealand footage I have! Expect a few video this week as I have so much footage from NZ, and I’ll be doing a separate video for Hobbiton and Franz Josef probably! 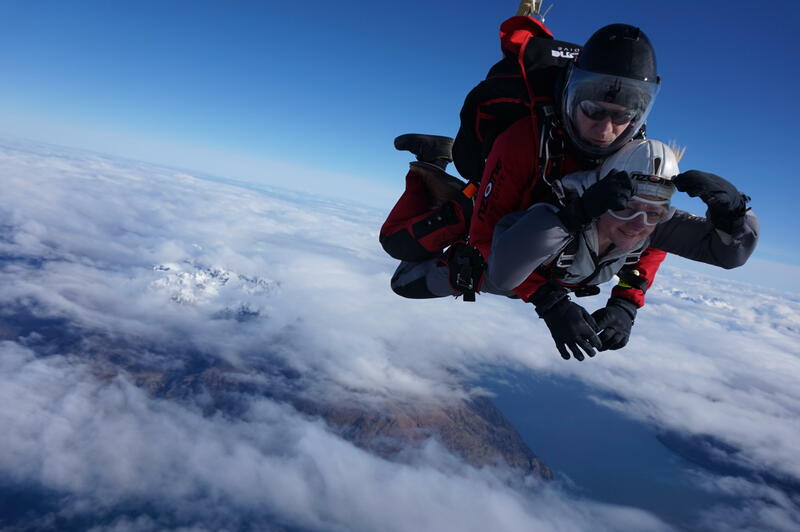 When I was in Queenstown, I finally bucked up the courage to do a skydive with NZONE Skydive and I loved every single second of it! 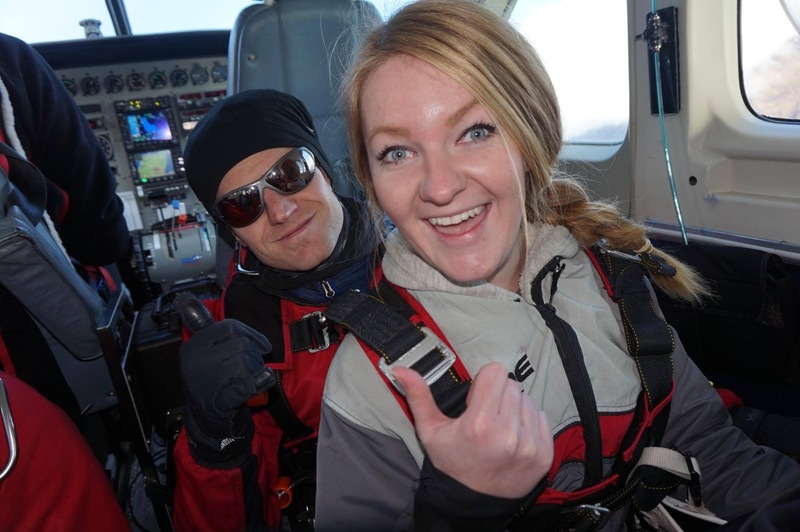 After doing the Shot-Over Canyon Swing (which was pretty scary), I didn’t even feel scared to do a Skydive anymore! 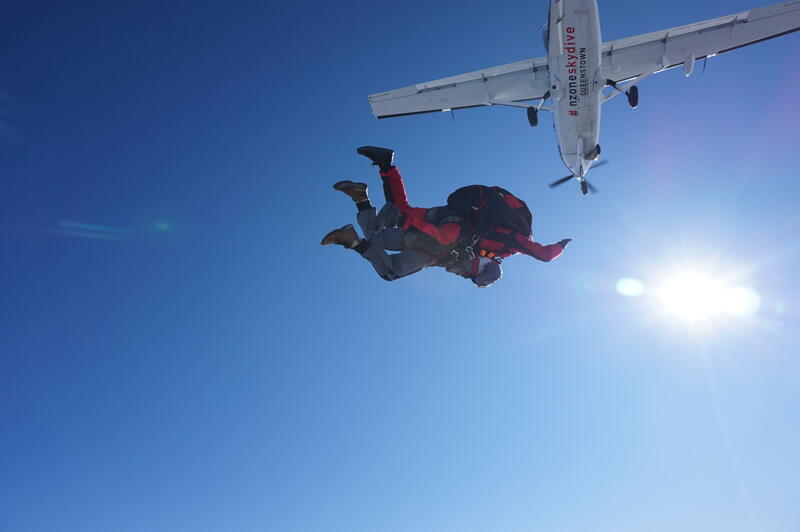 So off I went, all confident to the Skydive place. They picked us up from their office in Queenstown and drove us out. I could see that some of the girls were getting a bit nervous, but I was still loving it even when I was having a recorded interview which you will see in my video! 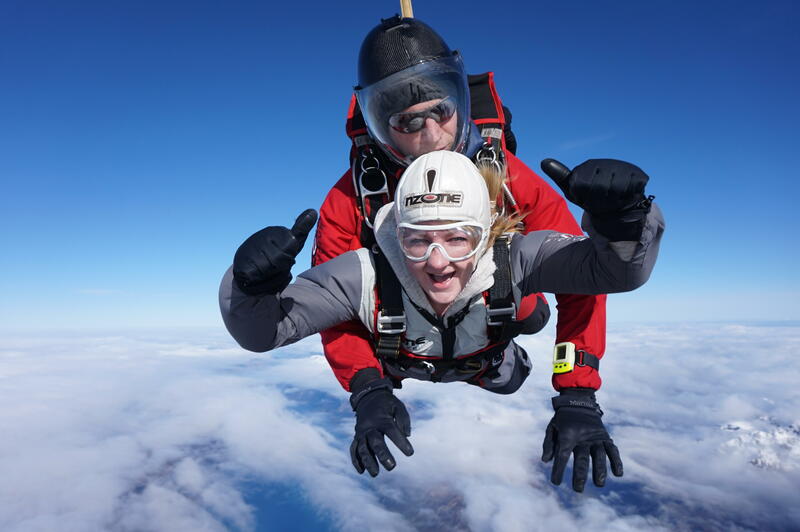 Even when I was in the plane (which has no seats, so you sit on the floor) I was still too excited although I could see us eventually reaching 12,000ft! I was the last one to jump out, and that was the bit I was a little nervous about but it was over before you could even blink and didn’t feel like you were falling at all! They don’t mess about here either, well we didn’t get anyone that messed about – we simply went to the edge, ‘Are you ready?’ and out you were! As we were free-falling, or just falling in general the whole time, it didn’t feel like you were – it weirdly felt like you were floating as all of the wind is pushing against you. Although, I must say that I got a little freaked out as I thought I couldn’t breathe from all of the air in my face. 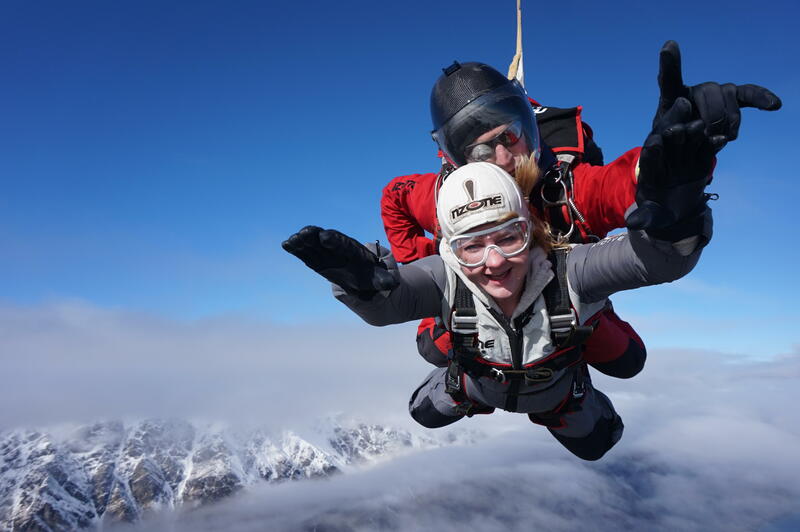 I thought to myself ‘It’s fine, you can breathe, it will go in..’ but I really felt like it wasn’t, so I felt a bit relieved when he pulled the parachute out and I could breathe again – but I was still loving every second of free-falling! 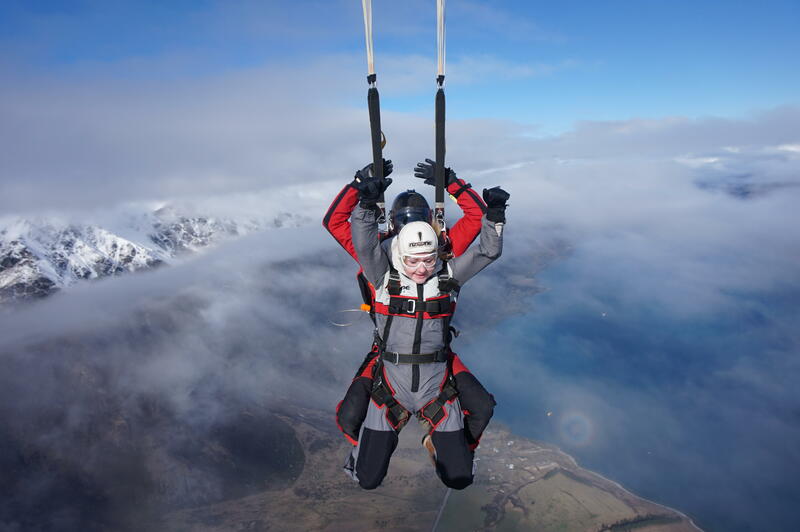 I had an amazing diver too, who was pointing out all of the mountains and everything else you could see in Queenstown from our incredible view. It was a bit cloudy on the day, but after we fell through the clouds (when the camera stopped – the camera diver had to fall faster than us to get to the ground first) we could see all of the snowy mountains and lakes, it was truly incredible! 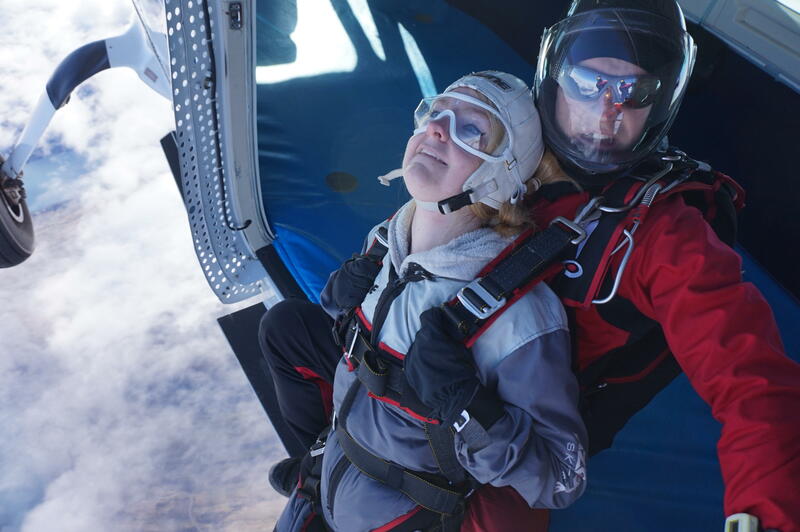 You can see my video of the skydive HERE. 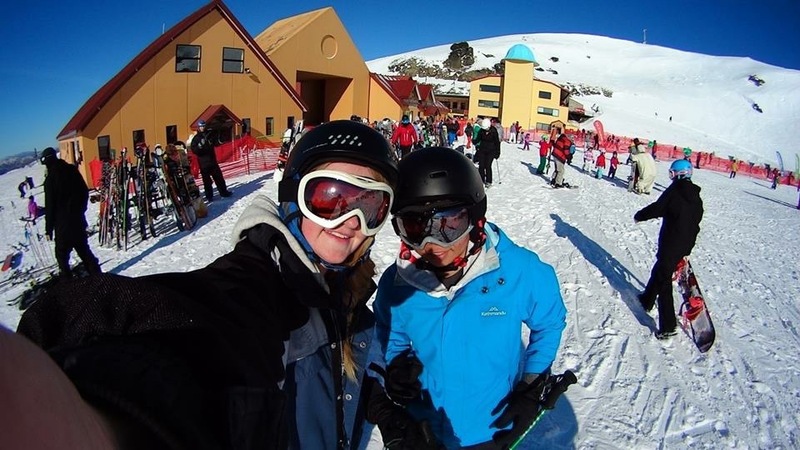 Getting back onto the travelling post, catch ups..
Whilst I was still in Queenstown, I decided to go skiing for the first time in my life! I have always wanted to try it, so I booked to have a lesson and it was so much fun! 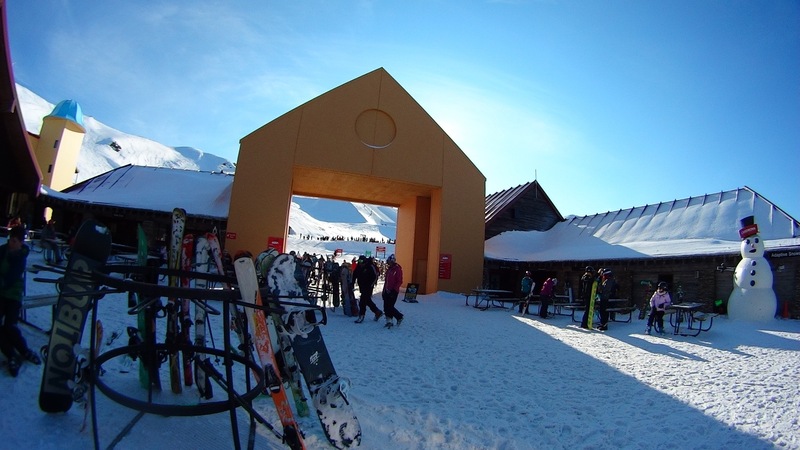 Cardrona was such a beautiful place and made me feel all christmassy, although I did get a tiny bit sunburnt from the snow reflecting the sun! The lessons were 3 hours each, and we had two of them. 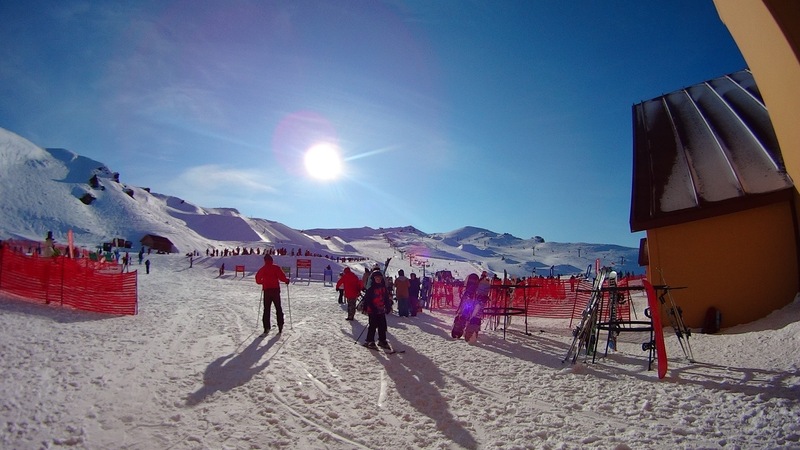 We learnt how to stop, put on our skiis, how to navigate, how to climb up a hill.. 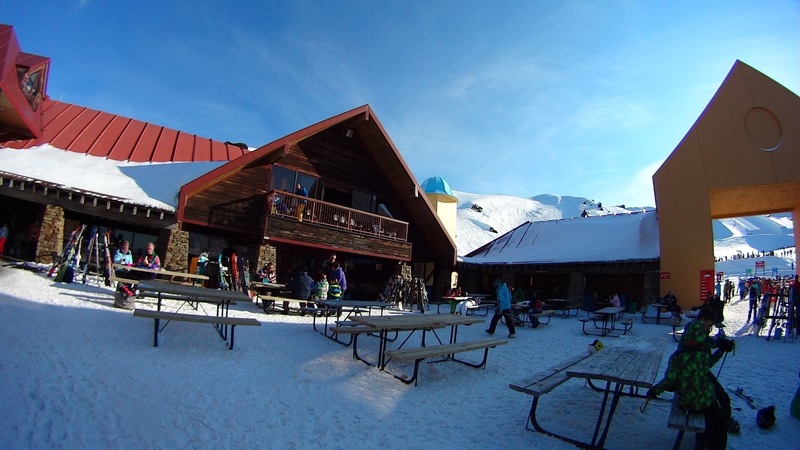 Eventually, we went up the small magic carpet (not the ski lift, this day) and got the chance to go down some steeper hills. 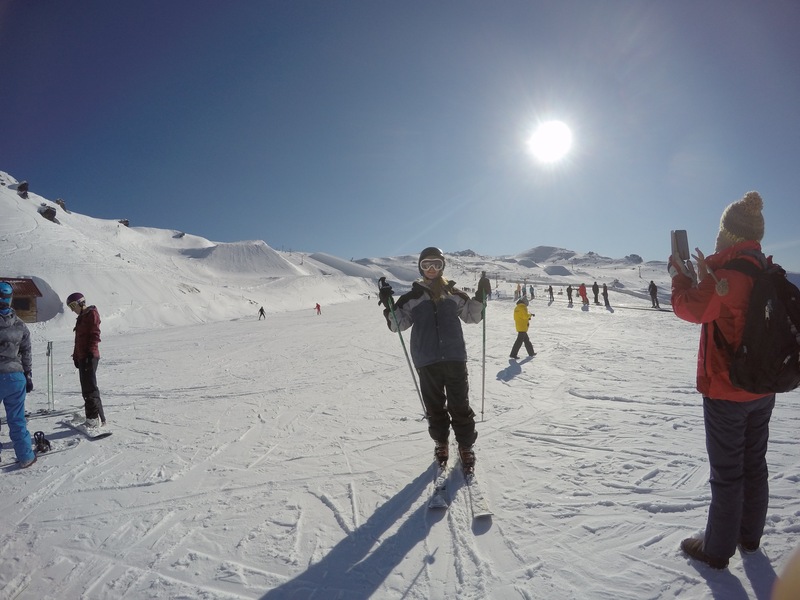 To be honest, I am not that good and not too confident whilst throwing myself down the hills haha but with some practice I will get better and a lot more confident! 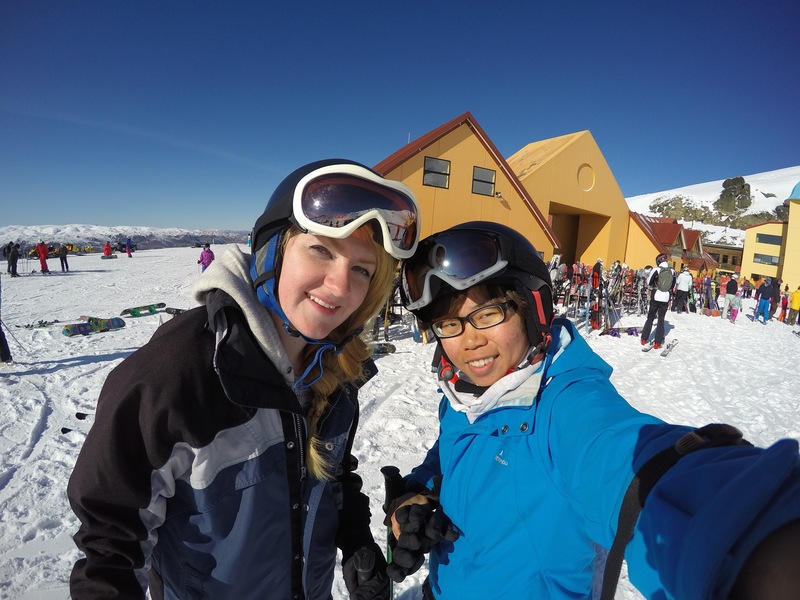 The only downside to skiing is that the boots are SO PAINFUL! 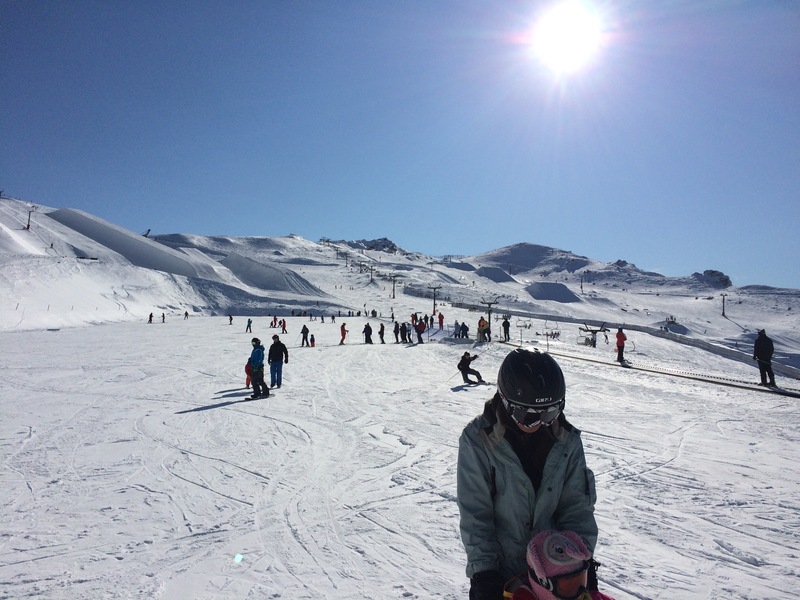 I came home from skiing with a long ling of blisters going across my right ankle which was pretty disgusting and very painful haha but it was definitely worth it! Here are a few photos, and a link to the video when Mandy caught me falling over whilst going down a hill!